The main trick of Material Design is a system of layouts, which helps you to create a real pseudo 3D on your website. For example, easily add floating cards, buttons, and other elements. Nice! You can use all these features in your WordPress blog as well. Just choose a required design of the following themes set that we meticulously selected. We represent you the most popular and well-made themes with Material Design features to use in your website; this is the future of design. Enjoy it! 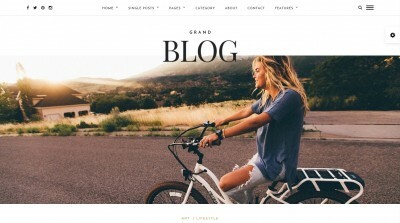 Rare WordPress theme is a good choice for blogging. Grid design, buttons from Material Design – these features add some modern style to the info you want to share with the world. Powered with best plugins the template does its best to impress you. Select the required from two main page styles – horizontal and vertical main frame. Two-column view allows you to show separately top and regular blog entries with ease! Unlimited colour variations? Of course. Use all Material Design tools for best user experience – cards, buttons, layouts. Blogging becomes much more pleasant with Rare. The theme will be working equally perfect on all possible devices. Full support of such powerful plugins as Jetpack leaves no space for worries. Rare is a really good choice. Ever wanted to make a modern presentation? Use Unika theme for this purpose. Landing pages heve never been so beautiful before. One-page informative and stylish Material Style-powered elements make difference. You can use four different page style with interesting full-screen backgrounds. Video, qualitative image, custom colour, and classic menu – each one is great, it depends only on your requirements. Simple and intuitive navigation with parallax effect within presentation page and Material Design elements to show some class empower Unika. The template is fully customizable and looks fine even on mobiles. Easy installation and perfect documentation to cover all theme aspects; Unika is unique. 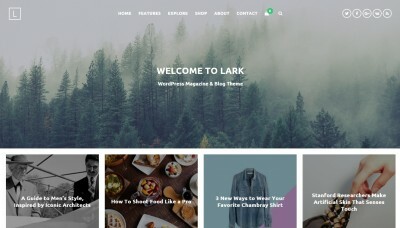 Material WordPress theme is so universal and multi-purpose that you may find a lot of various usage examples for it. Made basically to support businesses, portfolio, and websites with resume or CV, Material will offer you tools for even more possible options. Full support of Material Design features increases the potential of every project. More than 200(!) 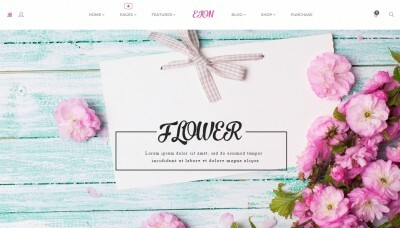 elements to put in the website, 17 interesting and stylish main page demo designs, 40 most creative possible blocks exclusively for your content; a huge number of options to try! The possible variations of pages are really unlimited. Inspired by Google, made for you – Material theme will help you to make a gem from any website idea. A user-friendly theme to show the world your business and spread the word – Dragon WordPress template. The main trick of Dragon is “what-I-see-is-what-I-get” principle to simplify the creation of content and corresponding containers for it. Material Design-empowered and very bright – such a template is a real “must have”. More than 5 stylish website info areas to make a good presentation even better. Use buttons, grids, and effects from Material Design to add some eye candy and modernism, people love up to date things. 4 blog styles to show various content, portfolio page with option to create a password-protected private areas. Unique and fresh ideas! The theme works fine with all browsers and can be customized very simply, just use the built-in tool. Dragon surpasses expectations; just try it and you’ll love it. 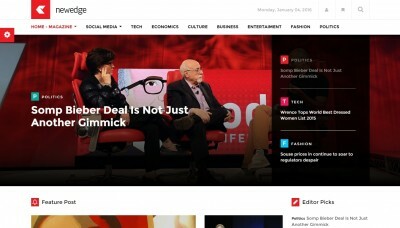 Ruby is a showcase WordPress theme, which will be a great blog template as well. Made with all modern technologies included, the Ruby presents to visitors all your info in a fancy wrap to draw attention and increase visits rate. 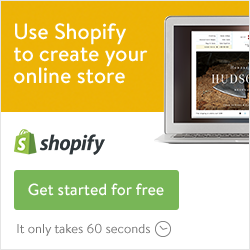 Simple, effective, and creative – good choice for any blog owner. Two portfolio variants with unlimited colour designs and customization options make everything easier. Think – choose – use, nothing extra to worry about. Material Design elements in grid and masonry galleries suit perfectly. Cozy blog area with premium slider will be a start of your Perfect Showcase. The theme is ready for SEO, which means that you will advertise the website quickly and efficiently. Full responsiveness and free lifetime updates as a bonus features – last but not least. Ruby does the trick. Smaze will perfectly fit any creative agency, business or simply personal presentation. Multipurpose, with attractive contrast and brightness for extra smooth showcase – ideal candidate for one-page showcase. If you like Material Design style, take a look at stylish grid; all the best fancy effect are included. The template concentrates on big and detailed images, proposing you to show people more conceptual information, adding description afterwards. Add some Material Design layouts with powerful page builder and become an owner of beautiful and fine-tuned website in a couple of clicks. Fantastic! Choose from 4 demo main pages for some quick settings, each one is a finished product. Custom typography, good documentation, and SEO optimization add even more pleasant moments in the Smaze theme usage. The Impala theme designed specially for every lover of various website effects and eye candy features. Use it for any project, either based on text or images – the template is really multi-purpose. Colourful, versatile, universal – Impala overcomes expectations. You may customize the theme as you wish: change header location, page size and layouts in “informational cards” areas, which are made from Material Design idea. Magazine, blog, photographers nest will be very attractive with Impala. Don’t like social sharing buttons? No problems, you may hide them, it is your choice. The template is very user-friendly, so you will have no problems customizing it. Countless possibilities are here! 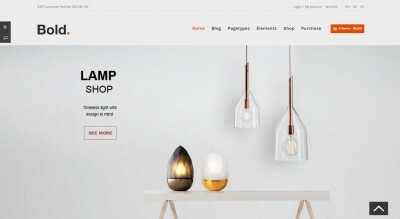 Choose responsible Impala theme as your companion and feel real support in creating ideal website! Obsession is a very flexible multi-page theme for WordPress website. It uses fancy tricks of Material Design Google-featured objects for best user experience and additional eye candy. Modern means beautiful, indeed. Each 4 demo pages of Obsession theme is a perfect fit for any website. 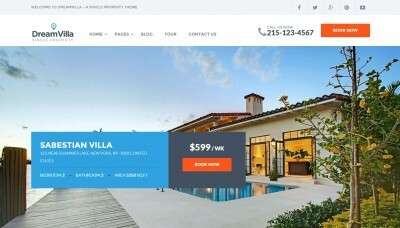 Ideally matched colours and informative area effects such as parallax, video background, and fancy transitions of menus. You may choose one- or two-page layout, depending on needs of exact project. Customization of Obsession is easy as well; 3 minutes and you are done! Select page options from built-in administrative panel, watch your project flawlessly working on any device and use powerful plugins out-of-box. Zephyr theme is a real quintessence of Material Design, the Google-empowered feature. 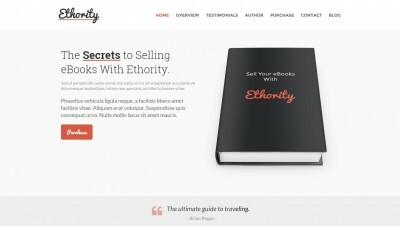 Awesome options for customization for header and blog layouts, great performance with responsiveness – meet the Zephyr template and make your website unique! Create blog, portfolio, or even a pure presentational landing page with most creative and modern tools. All kinds of creative, gallery or simple yet interesting regular page are at your service. Passion with simplicity of up-to-date technologies! If you like to play with headers, choose from four awesome options, visitors will appreciate it. Beautiful slider with tons of various tuning possibilities, mobile-friendly design, and good support make Zephyr theme among the best of its class. Tactile is a very sharp-styled and modern theme with more than 10 different demo pages. Good choice for any purpose, indeed! Blog, presentation, shop or anything else is possible for this powerful template. Easy installation and customization are not optional, they are simply built-in. Use all the possibilities for each informational area type. Blog has a great feature of info type choice, main page uses a unique menu with many tuning options, and customizable footer to fit any additional widgets you may use. Note that you can choose an appearance of header as well. 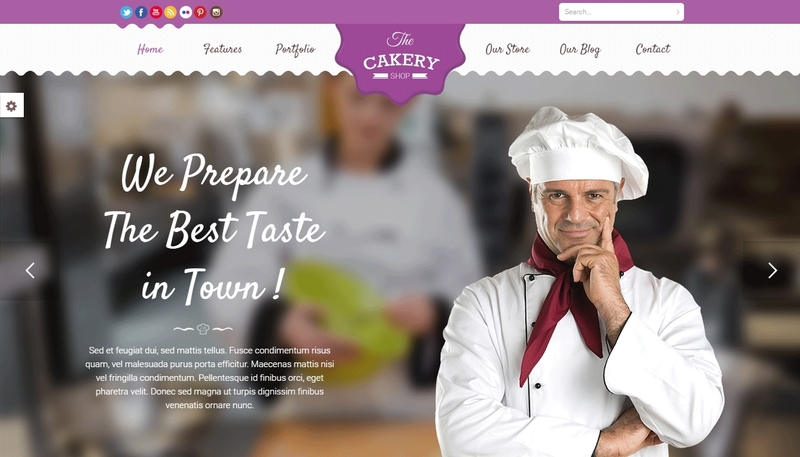 In general, more than 14 various main page templates are ready to draw visitors attention. Do you also like parallax effect, transactions effects, and various animations? Then Tactile is for you! 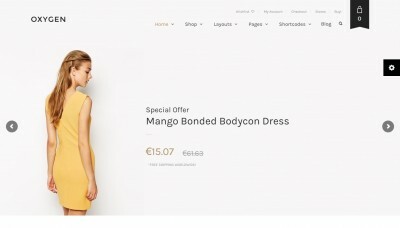 The theme supports WooCommerce e-commerce system, so shop installation will take just a couple of minutes.